The NC State College of Education has announced that Eddie Price ’04MSA, ’14EDD will lead the N.C. Principal Fellows Program, effective Aug. 1. Most recently, he was the deputy superintendent of the Johnston County Public Schools. As the director of the N.C. Principal Fellows Program, Price will lead the state-supported merit-based scholarship program and support the various University of North Carolina (UNC) principal preparation programs through establishing a forum for collaboration to share and develop transformative practices. A native of North Carolina, Price has been an educator in North Carolina’s public schools for 25 years. He was an English and history teacher and coached track and football before entering school administration. He served in school administration at both middle and high school levels for 13 years before moving into central administration. Since 2015, he has held various central office capacities for Johnston County Public Schools, including serving as an area superintendent, chief academic officer and deputy superintendent. Price has earned numerous recognitions for his outstanding leadership, including being named the the Johnston County Administrator of the Year in 2007, the Johnston County Administrator of the Year in 2010, and the Johnston County Principal of the Year in 2013. 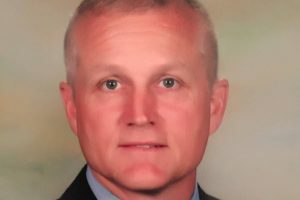 While serving as principal at South Johnston High School, Price guided numerous changes in the culture of the school, which improved behavioral and academic success. Under his leadership, the school’s four-year graduation rate increased from 76 percent to to 95 percent; the office referrals decreased from approximately 1,400 to 500; and all three End-of-Course (EOC) proficiency cohorts improved. These changes were stimulated by initiatives that did not hamper teacher morale; the 2014 Teacher Working Conditions data showed tremendous growth in every area. Price has spoken at numerous national conferences regarding the turnarounds he has led and the MTSS framework at the secondary level in public education. He earned his B.A. from the University of North Carolina at Wilmington and his Master of School Administration and Doctor of Education from the NC State College of Education. ABOUT THE N.C. PRINCIPAL FELLOWS PROGRAM: The UNC System announced in May 2018 that the N.C. Principal Fellows Program would relocate from the UNC System Office to the NC State College of Education. The N.C. Principal Fellows Program provides a competitive, merit-based scholarship loan to persons of exceptional academic ability who have teaching or relevant experience and desire to enter school administration in a North Carolina public school. The program’s two overarching goals are to prepare a pipeline of effective principals to meet the demands of the North Carolina principal workforce and to equip top tier candidates for school leadership who positively impact student learning outcomes in North Carolina. State law establishes and provides the framework for the North Carolina Principal Fellows Program and sets expectations for the roles of the North Carolina Principal Fellows Commission, the State Education Assistance Authority, and the UNC Board of Governors. Those three entities share responsibility for portions of the program. The move to the NC State College of Education does not affect the roles of those three entities in the governance of the program. ABOUT THE NC STATE COLLEGE OF EDUCATION: The NC State College of Education leads the way in North Carolina in preparing professionals, conducting research, and engaging communities to improve educational outcomes for all learners across the state and beyond. As a research-driven public college of education grounded in its land-grant mission, the college is the state’s largest producer of STEM educators and master’s-level literacy specialists, graduates beginning teachers who rate among the best on statewide performance measures across multiple variables, and has created a pipeline of leaders for schools, community colleges and higher education institutions in North Carolina. With two-thirds of its faculty engaged in over 120 funded research projects to improve education, the college also ranks No. 1 in education research productivity in North Carolina and among the Top 8 percent of public colleges of education in the nation. The college’s 1,600 undergraduate and graduate students study across 60-plus degree programs in three academic departments — Educational Leadership, Policy, and Human Development; Science; Technology, Engineering and Mathematics Education; and Teacher Education and Learning Sciences — that deliver highly-engaged and personalized academic experiences that prepare them to lead in the field of education.